What is account verification and why is it required? Account verification is part of Mongoose Casino security protocol and KYC (Know Your Customer) process where we require our registered players to submit documents in order to verify their identity. 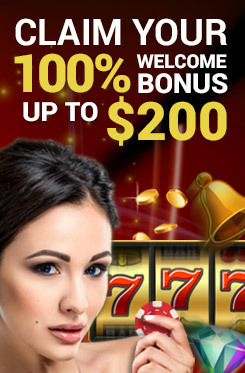 This process allows Mongoose Casino to ensure that all monetary and non-monetary transactions are made to the original owner of the account, they are above 18 years old, and their submitted information during registration is authentic and meet our strict obligations of transparency and confidential records. Getting your account verified through mobile is a swift and easy process. Once you have registered, you will be required to follow this process, which is mandatory before any withdrawals. Submitting the documents takes no longer than a few minutes. Submitted documents are processed by our Security Team within a maximum of 24 hours however processing over the weekend may take longer. These may include a screenshot of your logged in e-wallet account, image of your credit card (front side only and with only the first 6 and last 4 numbers on the card visible). In case player change or switch to a new payment method, they will need to submit another document again and follow the same process of verification. In order to swiftly pass this process, it is important that the documents you have submitted are easy to read and understand. We require clean and clear pictures or screenshots with the uploaded file not over 2MB. We only accept documents in JPEG, PNG or PDF format. When taking an image of any documents, make sure that you are using a device with a decent camera with proper lighting and in a squared angle that covers the entire document without cutting any edges so it becomes easy for our team to identify all components of the document. How do I know its approval or rejection? The approval or rejection of these documents is notified through email. As another alternative, players can also go to the Verification section of their account section and check the status. If all the documents submitted have been approved as per our security requirements, players will see a Green check mark along with a green bar stating ‘Approved’.